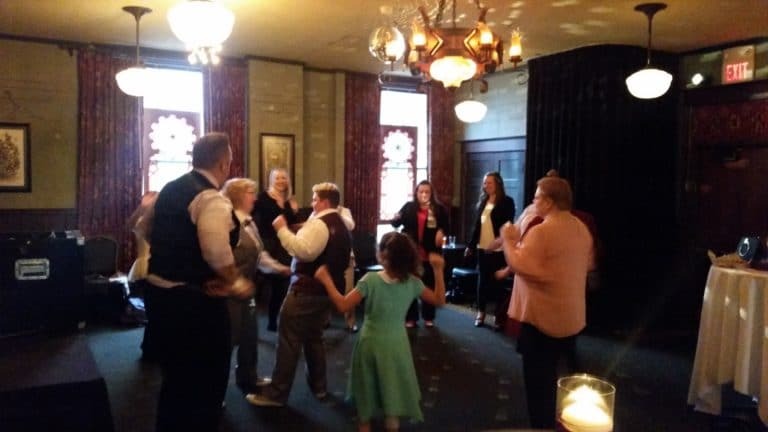 After all the planning, there were lots of nerves leading up to the ceremony for Michelle and Heather, but everything went smoothly as they exchanged custom, heart-felt vows on Saturday, April, 14 2018 at McMenamins Hotel Oregon in McMinnville, Oregon. 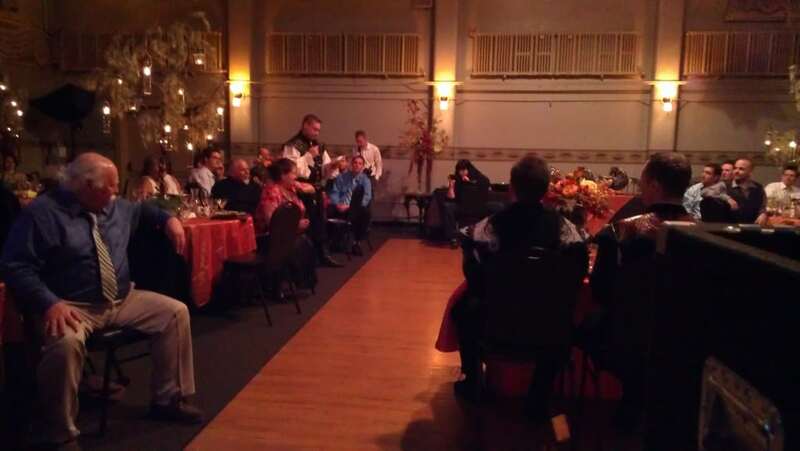 The wedding and reception were held in Mattie’s Room on the second floor of the hotel. 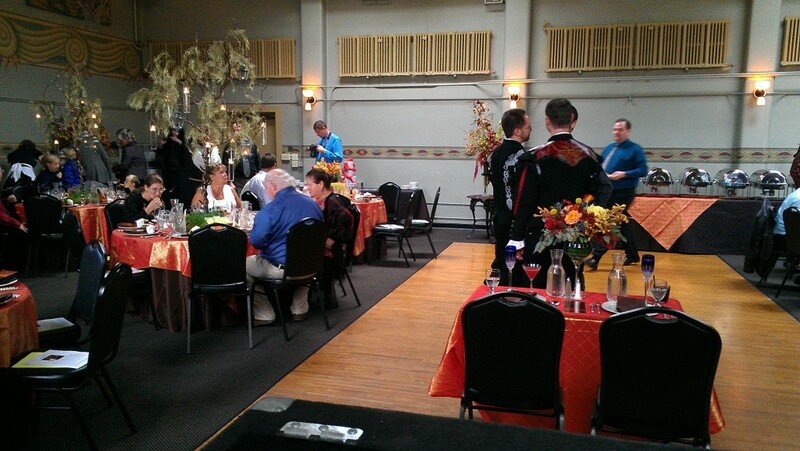 Following the ceremony, guests went downstairs to the Paragon lounge for drinks and appetizers. 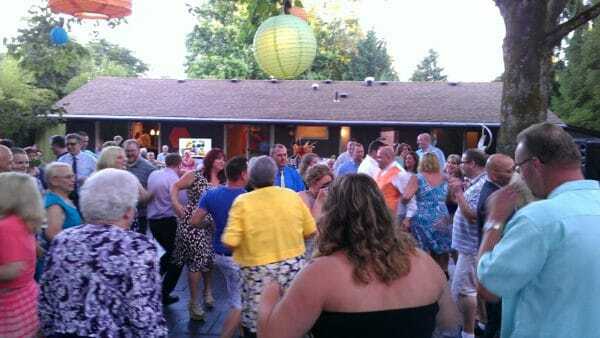 This allowed the McMenamins staff to setup the room and me to move my sound system to the dance floor area. Guests then returned about 45 minutes later and I played a variety of background music selections from artists such as Marvin Gaye, Jack Johnson, Norah Jones and Heather and Michelle’s request for Stevie Wonder. 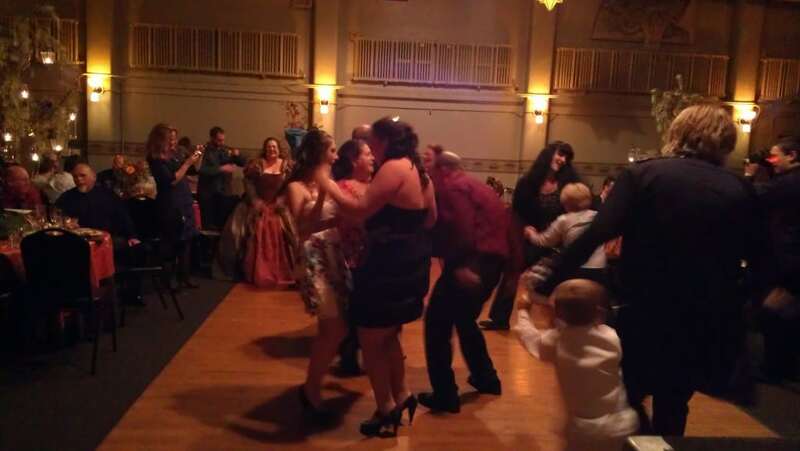 During dinner, Michelle mentioned the song they chose for their first dance was a little fast and she wanted to know if I could slow it down. I have pitch control on my audio player and I had her listen in my headphones as I adjusted the pitch to make sure it was to her liking and she approved. 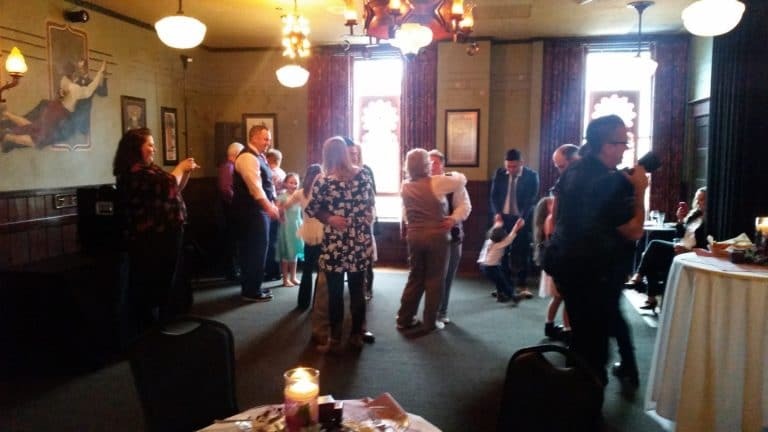 After their first dance, Michelle and Heather suggested I open the dance floor to all guests with “The Way You Look Tonight” by Michael Bublé. 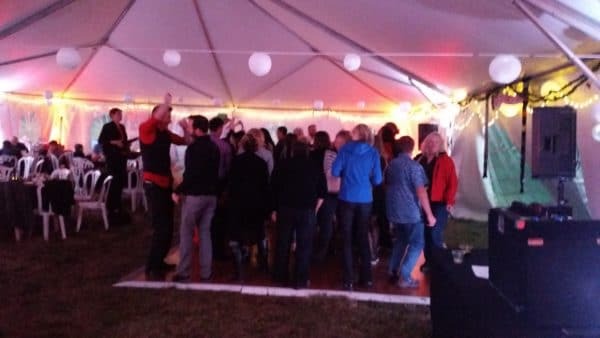 There was a lot of daylight left when this event ended and we had a good run of fun on the floor that wrapped with ‘My Girl’ from the Tempations. 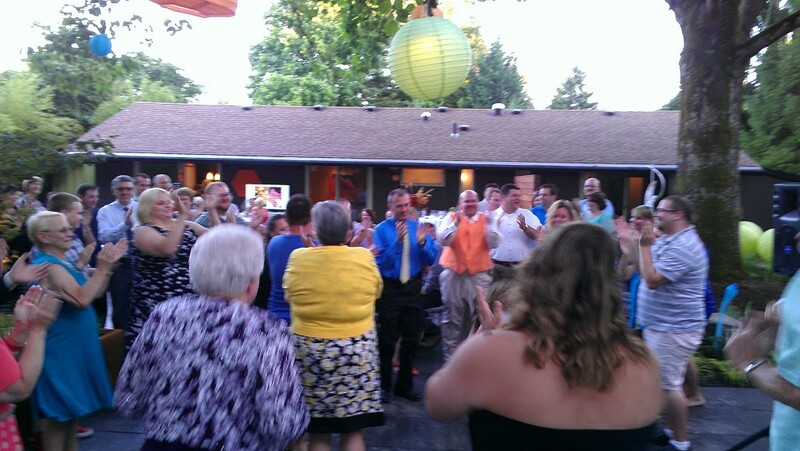 Congratulations Heather and Michelle and thank you for choosing PRO DJs. 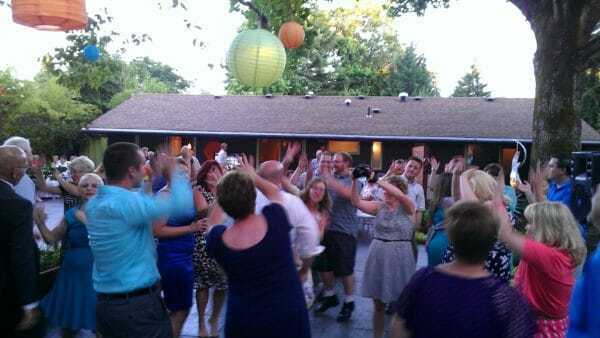 I appreciate their friend and best man Sandy for referring us to DJ their big day. 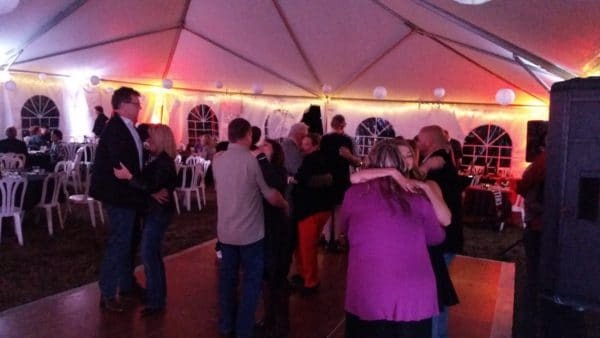 As the calendar flipped to October, the temperature dropped and rain fell off and on outside, but nothing could dampen the love and joy inside the tent at Lora and Leslie’s Boring backyard wedding and reception held on Saturday, October, 1 2016. 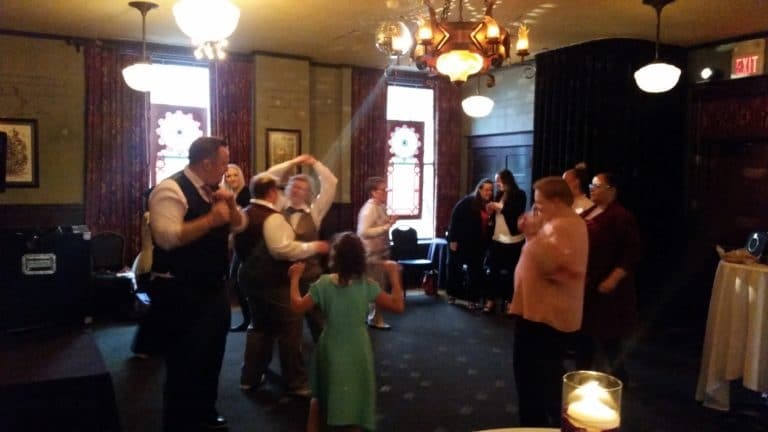 There were lots of nerves leading up to the ceremony, but those nerves were channeled to positive energy that set the tone for a fun and exciting night to follow. 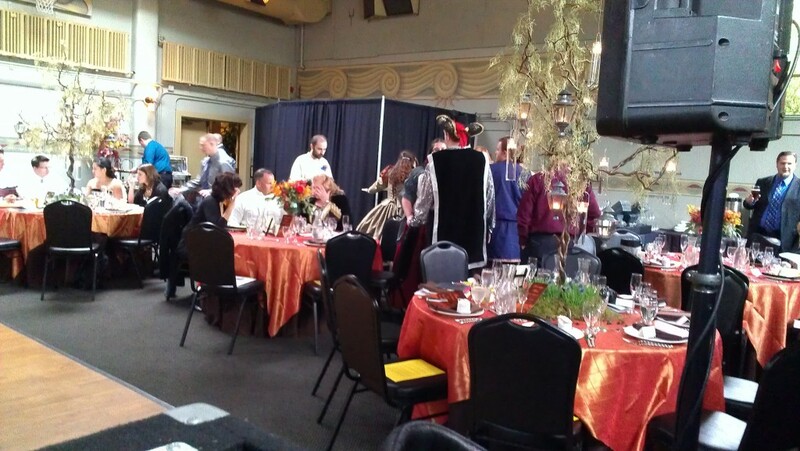 Decorations featured hanging scarves and other props of the newlyweds beloved Portland Thorns and Timbers soccer teams. 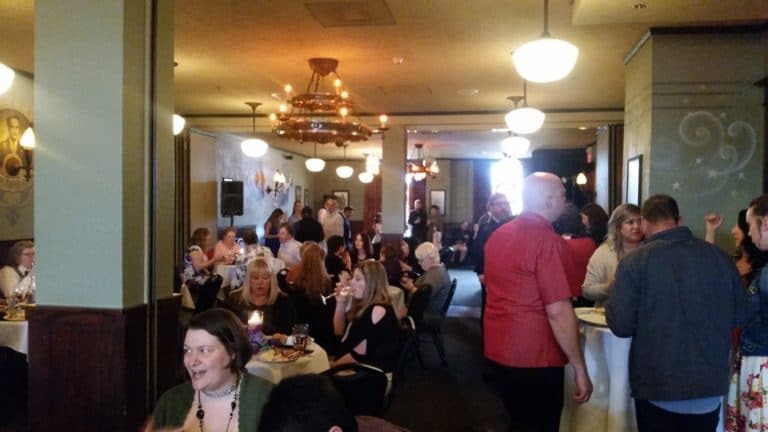 As guests ate and drank, I played a variety of background music selections that included requests from Lora and Leslie for Melissa Ethridge, Indigo Girls, Beach Boys and Sara Bareilles. After the ‘Friend Dance,’ Lora and Leslie wanted me to open the dance floor with Miley Cyrus’ ‘Party In The USA’. 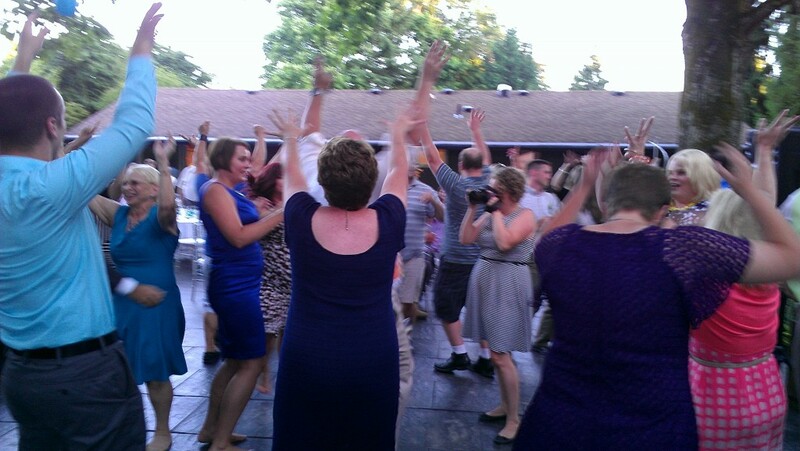 This group was fired up and this was the perfect choice to really start the party. 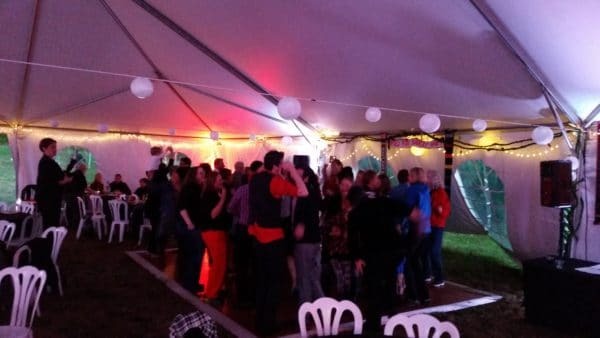 From the classic hits, such as ‘Respect,’ and ‘Billie Jean’ to recent favorites, ‘Shut Up and Dance’ and ‘Uptown Funk,’ this very large dance floor was filled to capcity most of the evening. 98 percent of songs chosen were uptempo. 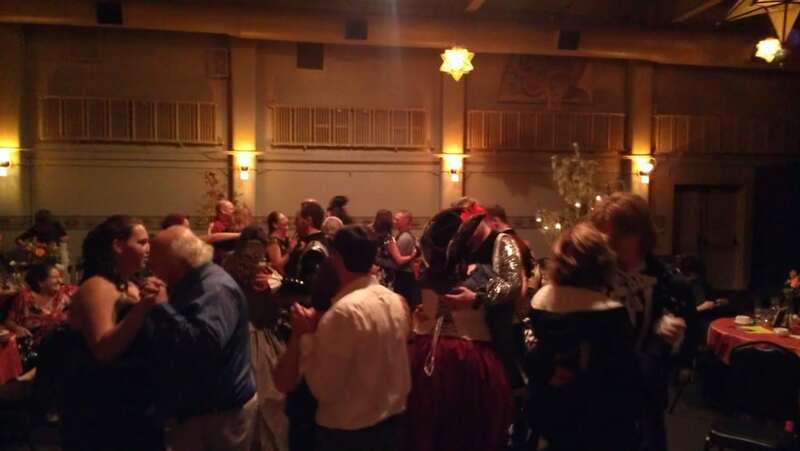 Once slow dance though was played in the tradition of the 80th minute at Portland Thorns games, ‘Keep On Lovin’ You’ from REO Speedwagon. Congratulations Lora and Leslie and thank you for choosing PRO DJs. 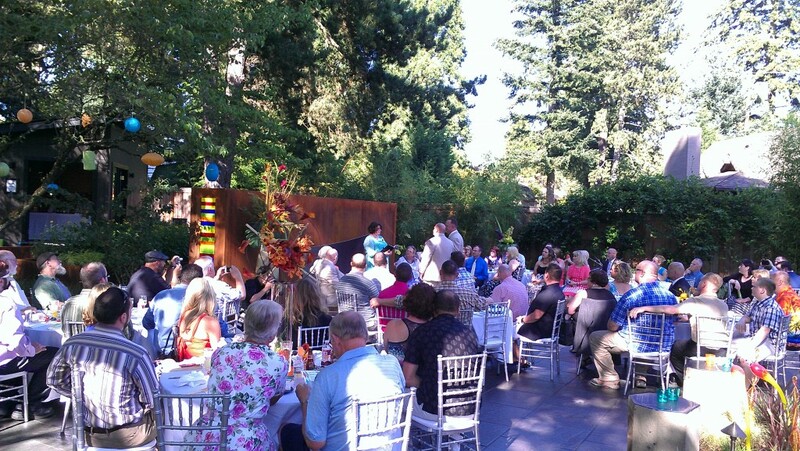 Each Summer I perform at many weddings held outside. The Northwest sunshine in the summertime provides multiple opportunities between July and September and there are many open air venues or places with outdoor space for private events to meet demand. 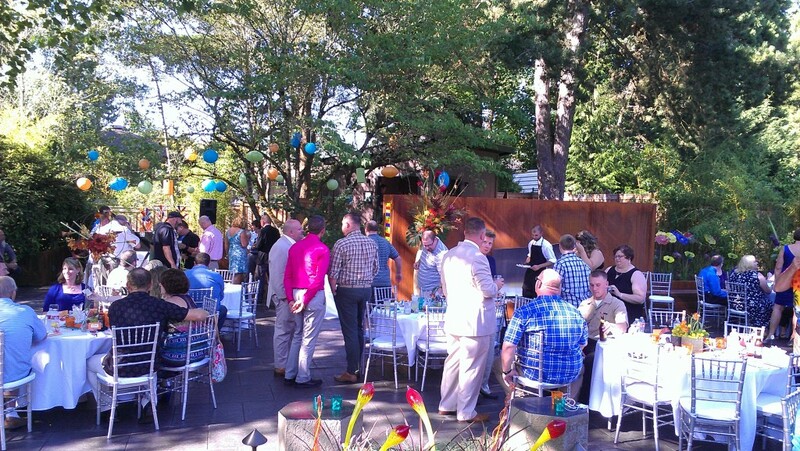 On Saturday, July 26, 2014, Gary and Michael held their wedding and reception in their own backyard in Southwest Portland and let me tell you, this place could rival any professional venue in the area. 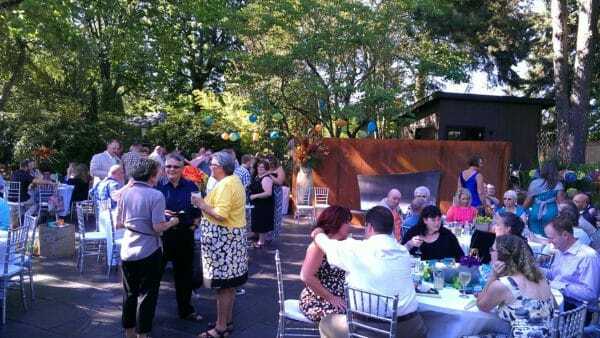 Shortly after my arrival, I learned that the backyard looked nothing like it does now, so it was an amazing transformation in a short period of time, but they were motivated to have everything perfect for their big day. Gary and Michael also wanted this be a big party for their guests, so they scheduled the cocktail hour before the ceremony and asked me to play a selection of music from the Rat Pack era, noting “Lounge kind of stuff. We love standards and there will be a very mid-century modern vibe to our decor to go with our home.” I played songs from Frank Sinatra, Ella Fitzgerald, Dean Martin and other artists popular in the 40’s and 50’s. 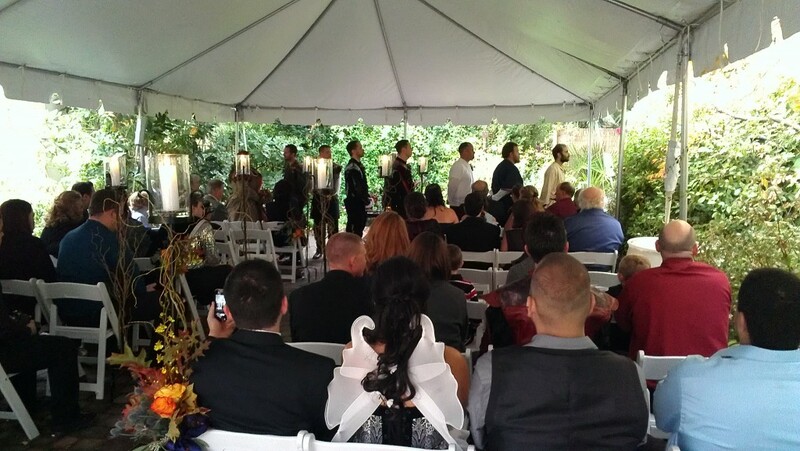 Following the ceremony, the newlyweds moved to the front yard with their families to take photos, returning about 30 minutes later for their grand entrance and dinner with their guests. During this time, I played a variety of contemporary soft rock favorites from artists such as, Jack Johnson, Norah Jones and Israel Kamakawiwo’ole. 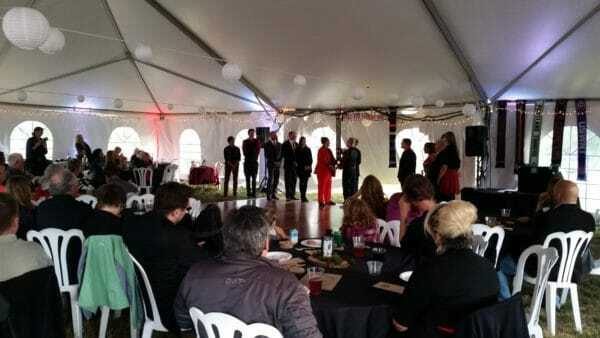 Gary and Michael had asked everyone to not bring a gift, but after the toast, they were surprised with a slide show. 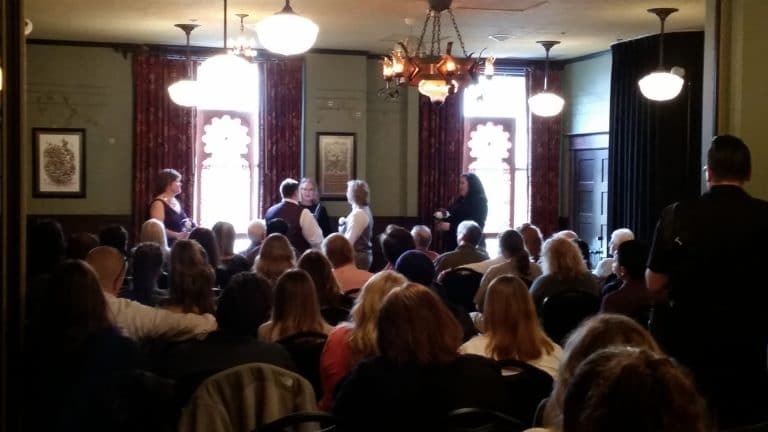 I was asked to play two songs live during the five minute presentation… ‘In My Life’ from the Beatles and Garth Brooks’ ‘Friends In Low Places’. The show went a little longer though, so good thing I had a few extra songs ready to go… ‘What A Wonderful World’ from Louis Armstrong and ‘Stand By Me’ by Ben E. King. On a perfect Summer evening, the stage was set for a special night and Gary, Michael and their families and friends wasted no time getting this party started. 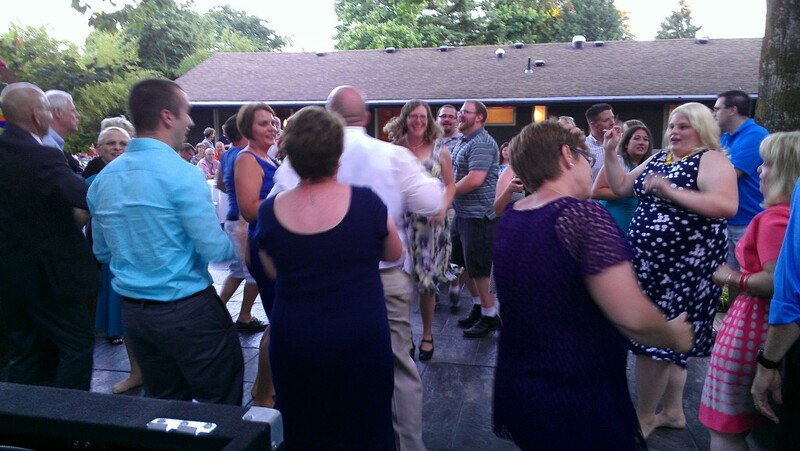 With many family members visiting from the Midwest, they had warned their guests that there will be a mandatory ‘Chicken Dance.’ I spun this one early and it was clear they took the mandatory part seriously. 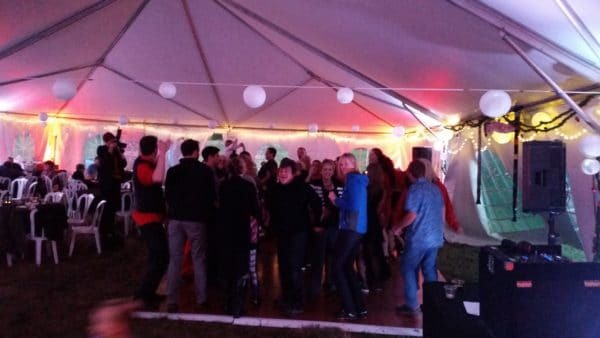 This party was non-stop until late Saturday night with big hits ‘Gangham Style,’ ‘Baby Got Back,’ ‘Blurred Lines’ and more. Congratulations Gary and Michael. It was a pleasure performing for you and your guests and thank you for choosing PRO DJs.